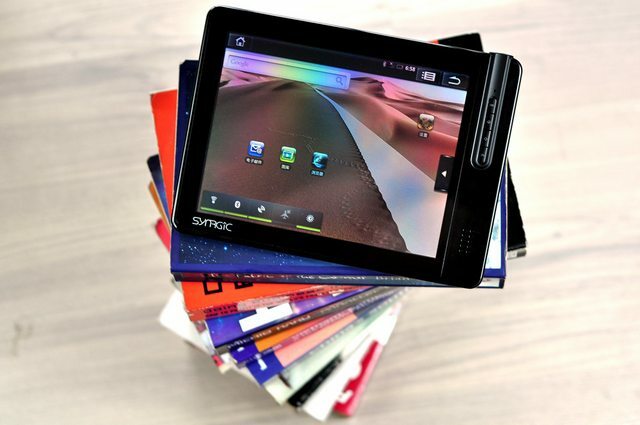 Discussion in 'Android Tablet News' started by xaueious, Oct 3, 2010. A few days ago, we reported that the Lifepad A800 is about to be launched. 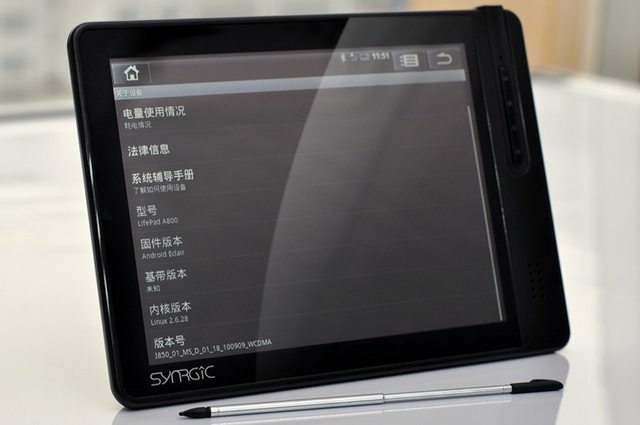 This is looks to be the first mobile carrier backed Android WCDMA tablet in China. 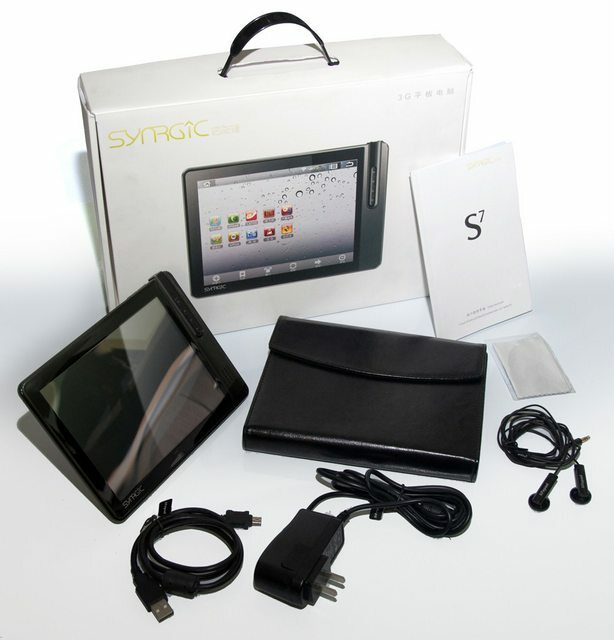 Here is a variant that has been branded as the Synrgic S7. 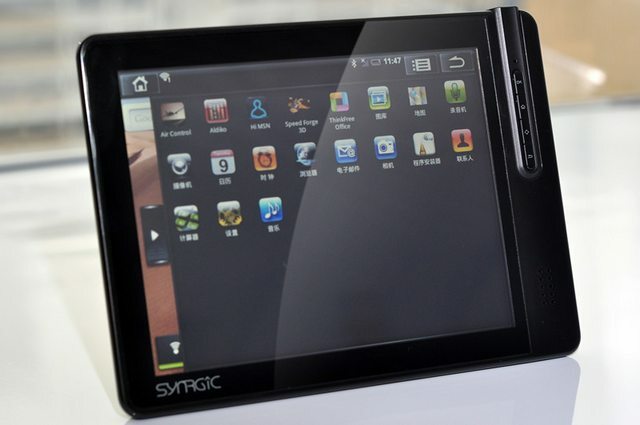 Synrgic looks to be a Shenzhen based company specializing in sales and marketing of consumer electronics. The S7 is identical to the A800, with the exception of a built-in camera. We can expect some of these tablets to arrive at our shores over the next couple of weeks, likely in both branded and generic forms. This variant has 2GB of built in memory. General pricing will be above 3200RMB (~500USD) for the tablet. Until a version without 3G is launched, this device is not attractive for overseas importing in non-compatible markets. 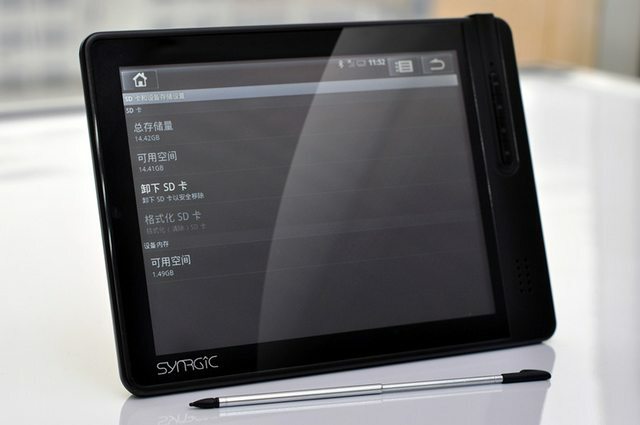 The Synrgic webpage lists 8-10 hours of continuous use for the device, but it is unclear what functions on the device have been enabled. The kernel version shown is 2.6.28, which is sub-standard for Android, which uses Android 2.6.29 for Android 1.6 and 2.1 (Android 1.6 platform highlights). Also of concern are the lack of standard built-in Google moible experience applications, such as Android market, Youtube, Gmail, and Google Calendar. Google likely is not working with this particular ODM to include any of their applications on the device. This makes the device difficult to recommend to anyone. Perhaps this may be fixed with a later firmware update, but for now it may be wise to wait for more details about this device to emerge.